The holidays are great, except for the many parts where they're not. You're busy. It's the end of the year. There's a lot of family time coming. It's stressful. Just ask Arnold Schwarzenegger, you could lose the entire month fighting postal workers and looking for that damn Turbo-Man toy. You aren't getting a plastic jug of Old Thompson here. The 30-milliliter sample-size bottles are filled with an enviable selection of high-quality booze. The whiskey options look appealing, but it's the holidays, so there's something for everyone. You can get your advent calendar full gin, rum, tequila, bourbon, scotch, mezcal, vodka, or absinthe. Even within those categories, there are alluring varieties for whatever itch you need to scratch. From botanical gins to Japanese whiskey, it can get pretty specific. It can also get expensive. 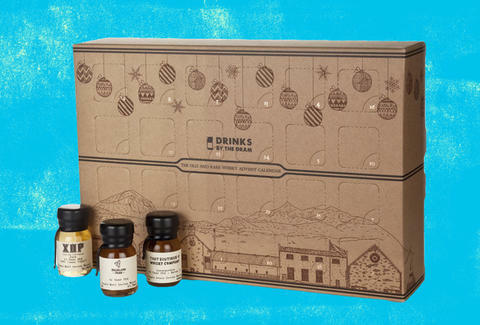 The Whisky Advent Calendar runs about $200, which is fairly standard. At the other end of the spectrum, The Very Old and Rare Whisky Advent Calendar contains tastes of 60-year old whiskeys in a maple box. That one will run you a little over $11,000. Though, the vast majority of the calendars are somewhere between $130 to $200. These may go fast, so jump on it if you want to infuse your boozy holiday season with a little whimsy.